The 2012 Olympic Games table tennis events were staged in the ExCel centre near London airport in East London's Royal Victoria Dock, and played on sports flooring supplied by Tinsue. On 1 October 2009, the International Table Tennis Federation (ITTF) announced that the Chinese company Tinsue had been selected as the official Olympic Sports Flooring Sponsor and Supplier for the 2012 Olympic Games in London. Hebei Tinsue Floor Technology Company Ltd, better known as Tinsue, were selected following an open bid process. The Shijiazhuang based company's product also provided the flooring for a series of high profile tournaments in the run-up to the London Olympics 2012. The Volkswagen Cup, the China versus World Challenge Match and the Tournament of Champions events in China in 2009, 2010 and 2011 were also played on Tinsue PVC Sports Flooring. 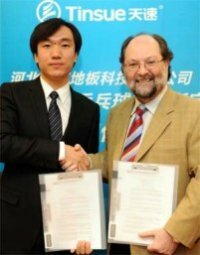 The sponsorship from the Tinsue Company followed the agreement made with TMS International (who handle the TV and commercial rights on behalf of the ITTF). "It's the first time a Chinese Sports flooring company has agreed to sponsor ITTF events" said Steve Dainton, ITTF Marketing Director. "We welcome them to these prestigious competitions. They are most prestigious competitions. They attract the very best in the world." "Last year the floor was used for the China versus the World event as a trial and it received high praise for its high quality" continued Steve Dainton. "Tinsue Sports Flooring is now also used for the Chinese Table Tennis Association's Super League." 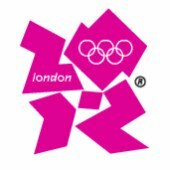 "As they will sponsor the London Olympics 2012, it's important that they also get involved in some other ITTF events" added Steve Dainton. 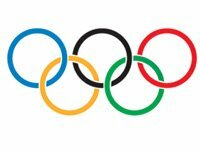 "It gives the elite players the chance to further test the floor before the 2012 Olympic Games."